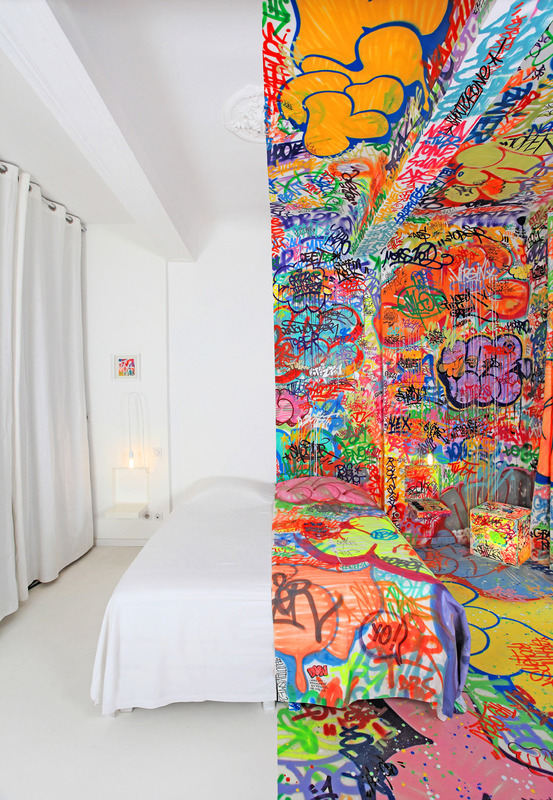 The Au Vieux Panier hotel in Paris, France asks artists to redecorate their rooms. 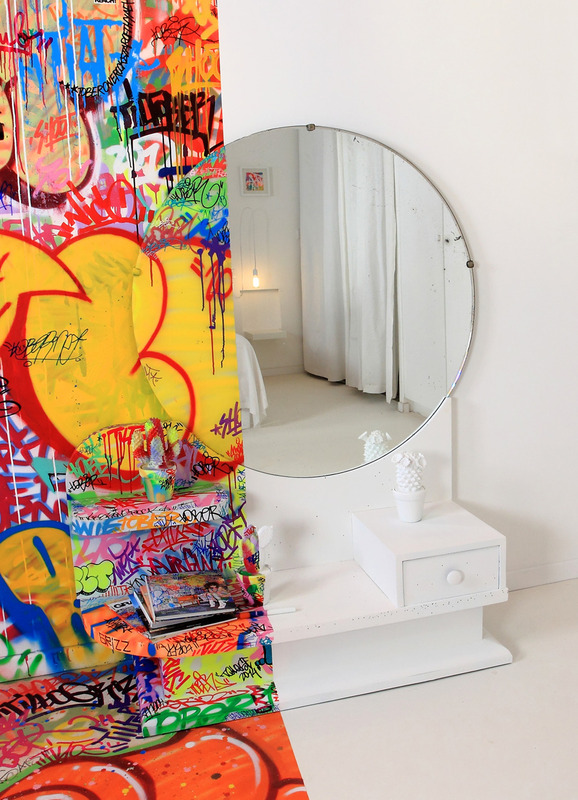 This is Panic Room by graffiti artist Tilt. All photos are by Big Addict. Check out his other stuff, too. This video, also by Big Addict, shows the process. I hope you read all that in a creepy monotone akin to Hal 9000. 06 May	This entry was published on May 6, 2012 at 8:17 pm. 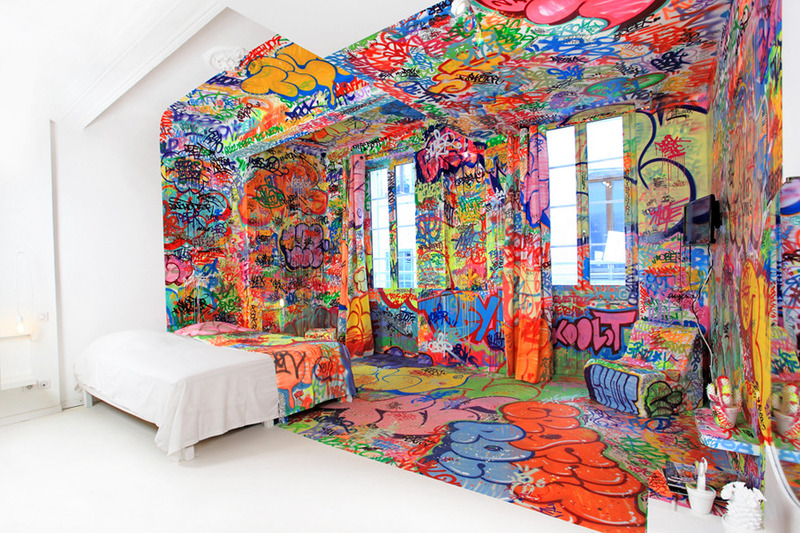 It’s filed under art and design and tagged art, Au Vieux Panier, big addict, chaos, france, graffiti, hal 9000, hotel, panic room, paris, tilt. Bookmark the permalink. Follow any comments here with the RSS feed for this post. 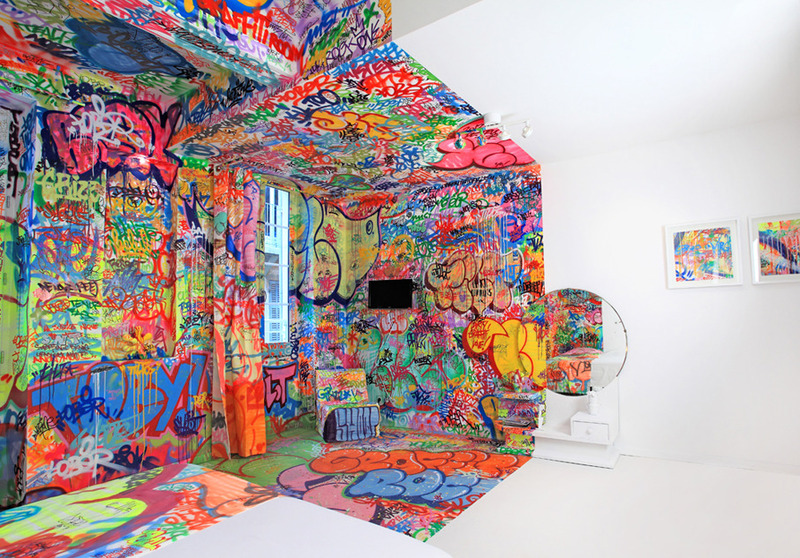 I don’t know if I could sleep in a room like that, but the graffiti and video are very cool. I just saw a graffiti documentary from 1995, it was pretty interesting. Being in a graffiti crew is almost like being in a gang. It would be hard to be in that room for too long. My head would hurt going from the chaos to the nothingness. I think some of the other rooms are easier to be in. 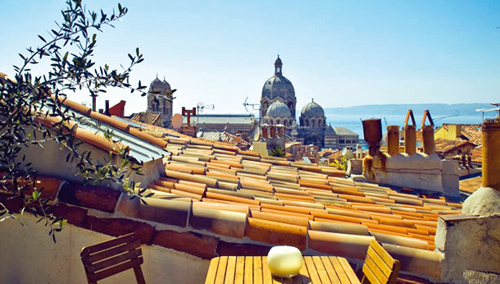 I’m going to try and showcase each one of the rooms at that hotel, which by usual prices is actually pretty affordable.